Status: Prints available for purchase. 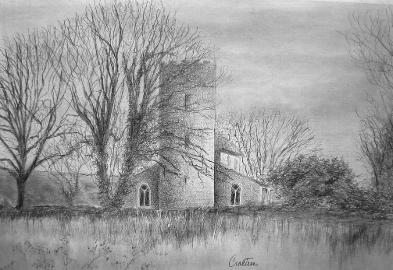 Before I took up painting a few years ago, I worked almost exclusively in pencil or charcoal. It is still my comfort zone, and so when I spotted this reference, I was inspired to get the pencils out again. One of the most time-consuming drawings I’ve ever done because of the details and tedious rendering of the blackest blacks, it took me weeks to complete. 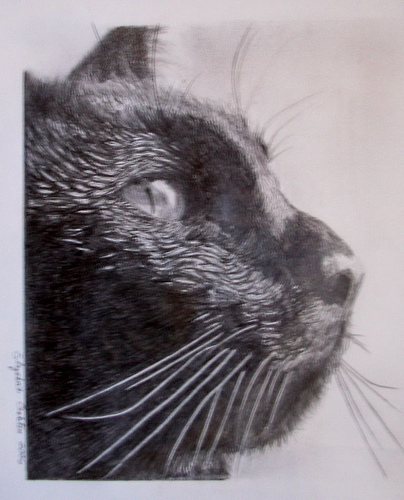 This drawing was published in the Mississippi Crow magazine, Summer 2007 edition, as an illustration for a short story by Eric Vance Walton: Opposable Thumbs and Other Desires of Miles the Cat. 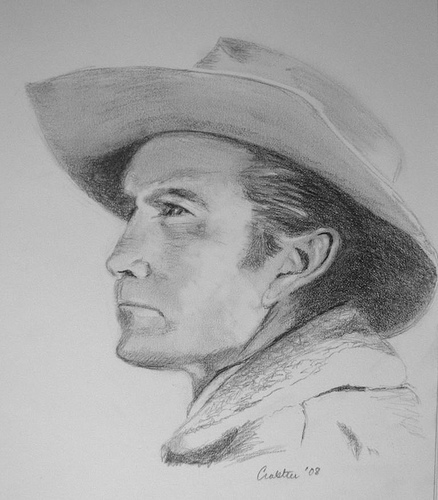 From the television series "The Rifleman," Paul Fix as Marshall Micah Torrance made an excellent subject for this drawing. I enjoy doing these drawings so much from old TV Westerns and plan on doing many more. Recently I've discovered the TV series, Rawhide, and have been especially impressed by Eric Fleming who played the part of Gil Favor, Trail Boss. I found so little art dedicated to him so I decided to draw him. I was quite pleased with the outcome. Another old TV western I love is "The Rifleman" starring Chuck Connors as Lucas McCain. 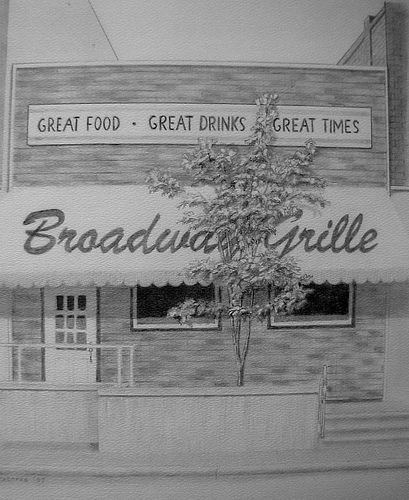 Creating this drawing was such a pleasure, rendered while the series played in the background. 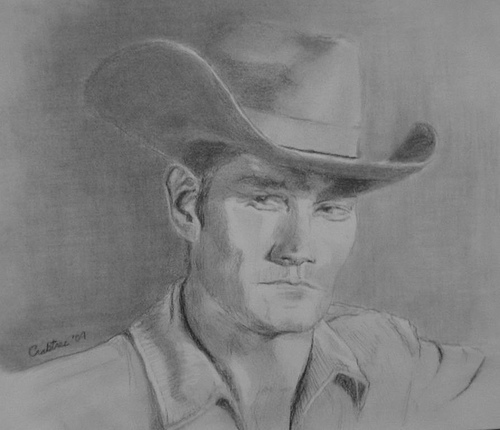 This drawing shows the serious side of Chuck's Rifleman character; I hope to one day do more drawings of Chuck Connors. Perhaps the next will depict him in his other memorable series, "Branded." Pictured here was the preliminary drawing of patches before painting her. Sometimes I transfer my drawings to canvas, but in this case, I chose to re-draw her directly before painting. One of the downtown buildings in Union City, Michigan as it would look with exterior improvements. The process of creating this was very enjoyable and was a nice break from painting for a while. I was very pleased with the outcome.